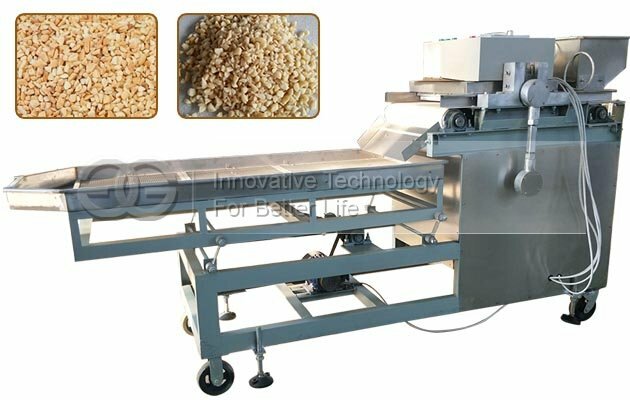 This machine is used to cut peanut, macadamia nuts, cashew nuts into particles. 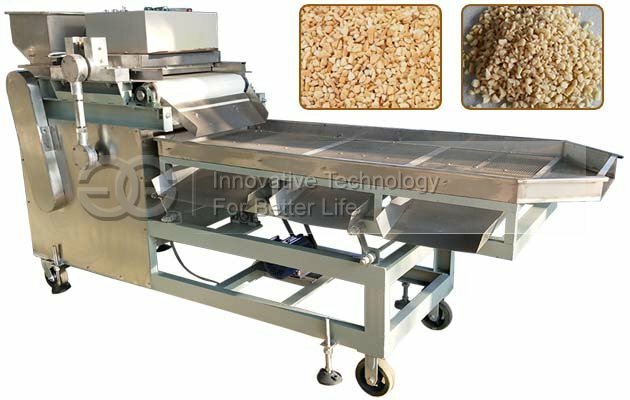 Straight knife aautomatic peanut cutting machine is mainly applicable to cutting and grading for peanut kernel, almond, walnut, melon seed kernel, hazelnut, cashewnuts, macadamia nuts and other granular, flaky, strip materials after roasting. 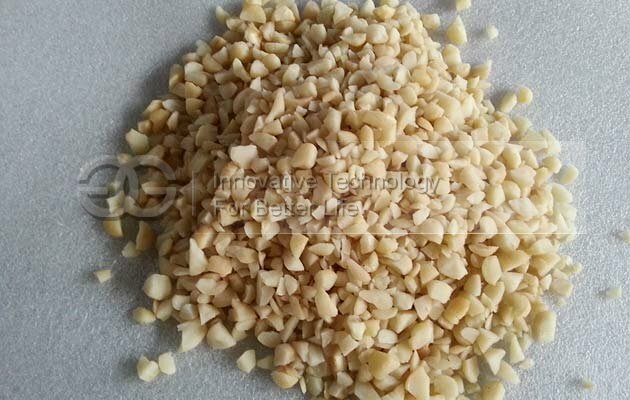 The cut product has regular shape, do not produce extrusion oil phenomenon. Multi-stage screen can be selected according to customer's requirement. 3. Different grades of chopped particles are selected through the vibrating screen, and the size of the mesh screen is custom-made. 4. 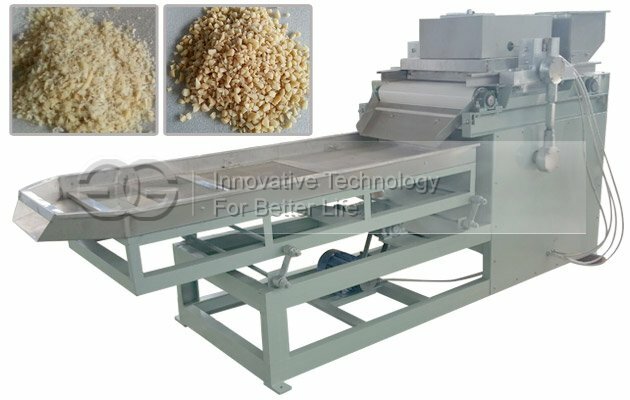 This cutting machine can chop evenly, with little powder, no oil squeezed out during cutting process.